As I have mentioned in previous Blog posts, I am going to be watching government spending and the increasing Federal debt and the effect on Bond prices and resulting effect on Mortgage rates. The following is a very sobering commentary on the out of control Government spending going on that will have far reaching implications on our debt structure. Remember, future inflationary worries from Government spending will negatively effect Bond prices and increase mortgage rates. The Senate was very busy in the season of giving, approving a 10-year, $871 Billion Bill yesterday that would extend health insurance to millions of Americans. The vote was split 60 to 39, down party lines. The Bill is being framed as the biggest change to the health care industry in decades, but it’s not a done deal yet. Now the Senate and the House must come together to hammer out a compromise between their two versions, which means more discussions, negotiations, and debates. And the Senate wasn't done there – we of course have to pay for all the stimulus, benefits and programs, so they just voted to raise the “debt ceiling” for government debt by $290B to $12.4T. By our calculations, that’s over $40,000 dollars per American. Whoa. The amount of debt that our country is piling on is very concerning – our children and their children may have a different standard of living, as they carry more of a burden in the future. Now President Obama must sign this measure into law, which would permit the Treasury to issue enough Bonds to fund the government's operations and program until mid-February. Call me if you would like to lock in on a historically low interest rate for a purchase or refinance need you have. The Worker, Homeownership, and Business Assistance Act of 2009 has established a tax credit of up to $6,500 for qualified move-up/repeat home buyers (existing home owners) purchasing a principal residence after November 6, 2009 and on or before April 30, 2010 (or purchased by June 30, 2010 with a binding sales contract signed by April 30, 2010). The following questions and answers provide basic information about the tax credit. If you have more specific questions, call me and I will visit with you about your unique situation. The Fed bought $16B in Mortgage Backed Securities (MBS) in the latest week bringing the total to $1.087T. There is $163B left to purchase until the end of the 1st quarter of 2010. With approximately 14 weeks remaining in the Fed Bond purchasing program, no indication has been given that there will be an extension of the program. Without purchase of MBS by the Government, bond prices could begin to fall and mortgage rates could begin to increase. I will watch this situation very closely and will make regular Blog Posts to update this important news. Call me with additional questions or if you would like to lock in a rate at these historically low rates for either purchase or refinance needs. In these metro areas, both modest incomes and stable real estate markets are improving the outlook for borrowers. Ogden and Salt Lake were listed as No. 3 and No. 9 on Forbes's list of cities recovering from the foreclosure crisis. Having participated in several buys and refinances, we can say without any hesitation, that working with Marty and his team on our latest refi was the easiest, most advantageous, and enjoyable home owners’ experience we’ve ever encountered. We cannot recommend Marty more highly. He kept us in the loop, found the best deal for us, and made closing a breeze. Thank you for working so quickly on getting our loan processed. You made everything go so smoothly, you kept us up to date on the entire process and we greatly appreciated that. Desk top Underwriting (DU) is making a BIG adjustment on the LTV limits for 2-Unit homes (DUPLEX) effective Dec 12th, 2009.
or refinance of multi unit, owner or non owner, properties. "potentially crowding out the return of a private market"
new FHA originations are "quite profitable." The Federal Housing Administration is asking for an increase in mortgage insurance premiums to replenish its diminishing capital reserves while hiking credit scores for applicants. Housing secretary Shaun Donovan will ask Congress Wednesday afternoon to raise the 55-basis point cap on annual government MI premiums. Administratively, FHA officials are expected to raise the 1.75% upfront premium and prohibit those points from being rolled into the loan amount. (The agency does not need Congressional approval to raise upfront premiums.) Even though it is hiking loan costs, HUD will allow the upfront premium to be priced into the interest rate. It also will allow home sellers to pay the premium. "The good news is that they are doing this administratively and taking leadership," said Brian Chappelle, a mortgage-banking consultant with Potomac Partners. As the health of the mortgage insurance fund improves, FHA can reduce the premiums and other restrictions, he added. Sales of existing single-family homes across the Wasatch Front climbed 4% in the 3rd quarter compared to the same quarter a year ago, according to the Salt Lake Board of Realtors and Utah Association of Realtors. The increase marked the first time in four years that home sales showed a year-over-year increase during the third quarter. Across the Wasatch Front there were 5,608 single family homes sold in third quarter, 2009. In Davis County sales surged and were up 9% in the third quarter. The median home price for a Single Family Home sold along the Wasatch Front for the quarter was $213,250. Ogden, UT – Buying a home vs. renting is a big decision that takes careful consideration, as most mortgage consultants will agree. But the rewards of home ownership are great. For many years, purchasing real estate has been considered an extremely profitable investment. It is an achievement that offers a sense of pride, financial stability and potential tax advantages. However, if you were to purchase your own home or condominium, you would be well on your way toward building equity within that same five-year period. By choosing a fixed-rate loan program, you can have the comfort of knowing that your monthly mortgage payment will never go up. In fact, you would have the option of refinancing to a lower interest rate at some point in the future should interest rates drop, and this would cause your monthly mortgage commitment to go down. In addition to building equity, there are tax advantages that come into play with home ownership. Depending on your tax bracket, owning a home is often less expensive than renting after taxes. Interest payments on a mortgage below $1 million are tax-deductible, and your mortgage consultant should help you evaluate the tax advantages of various loan scenarios, and share this information with your tax consultant to glean feedback on your behalf. There are many different types of loan programs available, including “low” and “no” down payment mortgage programs. These types of programs require the borrower to provide less than 3 percent of the loan amount as down payment. FHA lenders rule that the mortgage payment, including principal, interest, taxes and insurance (PITI) should not exceed 31 percent of your gross income, and the PITI plus other long-term debt (car payments, etc.) should not exceed 43 percent of your gross income. Housing is an expense that takes a big bite out of the monthly budget. If you are a renter and feel that “home” is more than just someplace to hang your hat, think about the advantages of purchasing real estate. It may be time to take the step into building your personal net worth as a home owner. First Time Home Buyer Tax Credit Extended and Expanded! Plus, New Tax Credit for Existing Home Owners! It’s official! President Obama has signed a bill that extends the tax credit for first-time homebuyers (FTHBs) into the first half of 2010. In addition, the extension also opens up opportunities for others who are not buying a home for the first time. First Time Homebuyer Tax Credit Extended Into 2010! Plus...A New Tax Credit for Certain Existing Home Owners! If you have any questions that fall outside the situations here, give me a call and if you do not have an accountant to speak with, I can refer you to one. Fantastic timing for best rates in history, Paul and Maria! Took their 30 year mortgage to a 15 year term and lower rate! 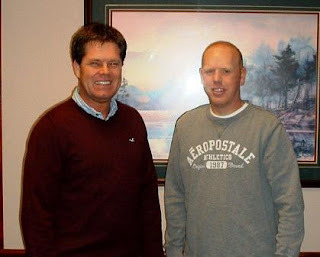 Thanks again for the opportunity to help you with your mortgage loan! Maria and I want to thank you for the hard work you put in, and the amount of time you put in to get us the best loan possible, you were there in the beginning when we first bought our home and you have been there ever since . 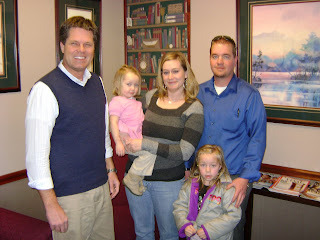 The Forsberg family ready for loan closing for the purchase of their new home! Jon and Michelle Hiatt were their buyer's Agents and did a fantastic job of selling their home and finding them a new one! Just wanted to say thank you again for everything. We had a great experience working with you and will share your name with anyone we know buying a home. 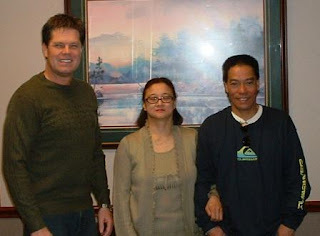 Marty with Julie and RJ Soriano at their refinance closing where they got one of the best rates in 50 years! Congratulations on the perfect timing! 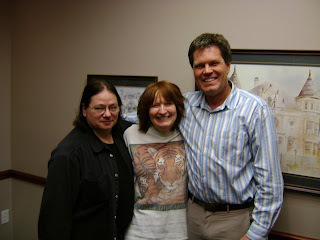 Gary, Elly and Marty at their refinance closing at Inwest Title-Rachel Miller Escrow Officer and photographer. Appreciate all your help and hard work you did on the refinancing of our mortgage. It saves us a couple of hundred a month in our payment, awesome! 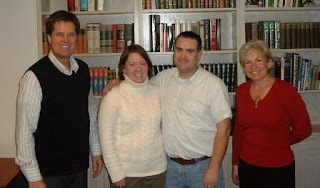 In January 2009, my wife Elly and I had the privilege to work with Marty Qualls, Sr. Loan Officer. In my experience with Marty, he is always prompt and followed through with whatever he said that he was going to do. His nature is pleasant and inviting. In looking for the best rate when we refinanced, he helped us secure an awesome rate. As it was our first time refinancing a house, it was unfamiliar territory. Marty made the experience very easy. He made sure that we understood all the information and took the time to explain to us the processes as we went along. He also took the additional time to answer clearly every question that we had. Marty Qualls is a man of sincerity and integrity. I would highly recommend Marty Qualls to work as your Mortgage Lender. 100% Mortgage Financing Announced at Ogden Bridal Fair! "100% Mortgage Loan Financing is again available in Utah!" That was the message I delivered at the Ogden Bridal Fair at the Ogden Marriott Hotel on September 25th and 26th, 2009. Call me for the "Planning for Success" First Time Home Buyer meeting and receive one of 3 excellent books, a free credit report, credit report analysis, a free credit approval letter and guidance in the "19 Steps to Home Ownership"
First Time Home Buyer Programs Highlighted at Fall Bridal Fair! 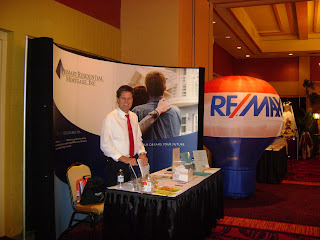 Marty Qualls in front of the Primary Residential Mortgage Booth at the Fall Bridal Fair at the Marriott Hotel in Ogden. Brides were pleased to find that opportunities for 100% home loan mortgage financing are again recently available in Utah! During the show, Brides registered for a Spa Treatment Giveaway and received information about Grants, Tax Credits, 100% mortgage loan programs, Loan Program Highlights and Homes available for purchase in Weber and Davis County. With Mortgage Rates currently at a 4 month low, the first time home buyer tax credit scheduled to expire November 30th, and home inventory at historically low sales prices, timing for a home purchase couldn't be better! Excitement was in the air at the show!!!! Marty offered his Planning for Success Program to those First Time Home Buyer who would like to learn more about purchasing their first home. During the face to face Planning for Success Program meeting, one of 3 great books is given to the first time home buyer and Marty goes over the buyer's credit, issues a credit approval letter and gives them the 19 steps to home ownership. Marty and Cindy Keil, RE/MAX Community in Ogden, shared duties at the booth to educate potential first time home buyer's on Friday, September 25th at the Ogden Marriott Hotel. 100% loan mortgage financing in Utah! 100% loan mortgage financing is again available in Utah! With the recently announced "Equity Now" program with the State of Utah, buyer's meeting the income and credit standards of the Utah Housing Program can now receive 100% of the funds they need in order to purchase a home! With the Equity Now Program, first time home buyer's are eligible for the Utah Housing funds to complete the purchase AND qualifies for the $8,000 Federal Tax Credit! Ask me about my Planning for Success Program for First Time Home Buyer's! Please call me for additional program highlights and as an approved Utah Housing Lender, I can help you with your Mortgage Loan to get you into your first home before the November 30th expiration of the Federal $8,000 tax credit! "Marty and I have had the opportunity to work together on many occasions. As a Sr. Loan Officer it is his responsibility to ensure a successful transaction with my clients. 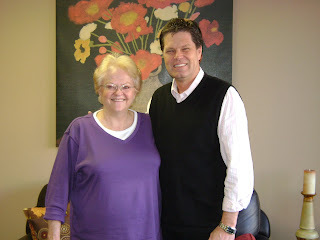 My clients rely heavily upon his knowledge, experience and people skills, all of which Marty excels in. I have never had a client be disappointed with Marty’s work. He is quick to respond and isn’t afraid to address tough issues. As a result of his upfront, honest and kind nature he has proven himself as an excellent Loan Officer time and time again. In the three years that we have known each other Marty quickly became one of the few people that I consider referring. I feel that the work my Loan Officer’s perform is as big of a reflection of who I am and how I conduct my business, as it is to them and their own clients and business. Marty is capable of handling any Loan that I could ever send him. He is willing to go the extra mile to make sure things are done correctly. When you are considering a mortgage loan and loan officer, Marty is the one you should choose. 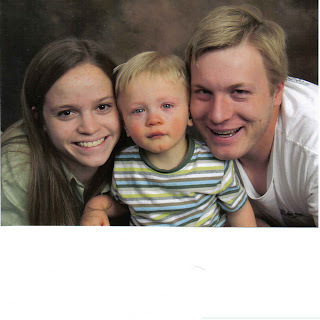 Sorensen & Company Real Estate, Inc."
Ann, cutest boy in the universe, and Will! Congratulations on a great loan and interest rate! Thanks for all your hard work in helping our family to refinance our home mortgage loan! I appreciated how easy you made the process for us, especially since we'd just had a new baby. 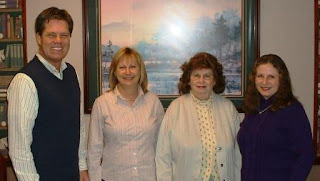 Daughter Karen Palmer, Delone Keller and other daughter Cheryl Larsen at Loan Closing! 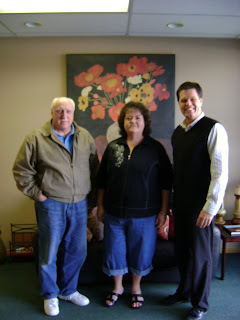 Congratulations and thanks, Delone, for the opportunity to help you with your Reverse Mortgage needs! I enjoyed my experience working with Marty. 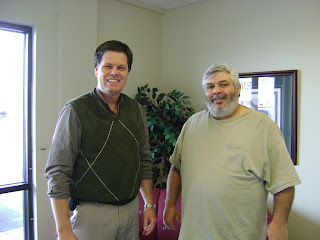 He was very prompt in providing all the necessary information that I needed to complete my re-finance. The process was seamless and he made it a very simple and a completely enjoyable worthwhile experience. I look forward to working with Marty for any future mortgage needs. I appreciated his dedication to the process and his determination to make it a great one for me. 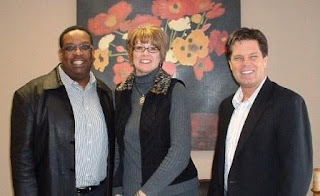 Jim and McKel Harrison and their Realtor, Ava Felt! Their First Home! Congratulations! Marty was very friendly and easy to work with. You could tell that he was concerned about our need and always excited to give us good news. 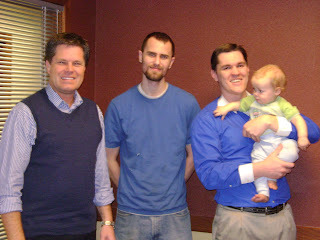 He kept us current on our loan process every step of the way and answered any question we could possibly come up with. He was a big help in the stressful steps of purchasing a home. Thanks Marty for all your help! Our house really is what we wanted. 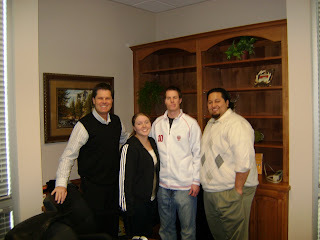 Jody and Jesse and their Realtor, Brad Afuvai! Their first home! Congratulations! "We have used Marty for mortgage loans and refinances more than once and have been extremely satisfied with our results each time. We can always trust that if he says it will be done, it is done. We will continue to use Marty for all our mortgage needs." Home Run 2 Grant 2 Program: How long will it last? This week, I have been watching the number of grants which are being reserved each day. Today there were 17 grants reserved and if I do the math at 20 grants per day, counting only work days of the week, the grants will be completely committed by November 30th! Coincidentally, November 30, 2009 is also the expiration of the Grant Program! There are 54 working days remaining until November 30th so if the rate of reservations increases slightly, which is bound to happen, time is of the essence! Once we have the appraisal and all of the signed Home Run 2 Grant Forms, I can get the reservation in place! Governor Gary Herbert announced today that first time home buyer's can now use their $8,000 tax credit for down payment and closing costs! Utah Housing will give First Time Home buyer's, who meet the credit and income guidelines, a first mortgage loan and a small second mortgage loan for purchase of their home and also payment of closing costs and down payment. The buyer then applies for the tax credit with an amendment to their 2008 tax returns and when received, can apply the money to their first or second mortgage used to purchase the home. If they apply the money to the 2nd mortgage within 6 months of the loan date, Utah Housing will credit them $100. I am an approved Utah Housing Lender and can help you with any questions which you have. Great news! Today, Governor Gary R Herbert announced that there is new grant money available for purchase of a new construction home that has never been lived in before, a home that is being newly built, or a partially built home. There are 1,950 Grants ($7.8 Million). Loved the book you gave me! I finished the book, in about the two weeks I told you it would take me, and quite enjoyed it! I would definitely recommend it to anyone buying a home, it was so helpful and I feel educated about all the ins and outs of purchasing a house. Thanks!! Clearfield Grant money is now available, but it is limited and going fast! There are only 14 more grants of $5,000 available as of today (4/16). I have the 52 page program guideline if you would like me to forward it to you. There are income limits on the program, the buyer needs to be a first time home buyer, there is a forgiveness of the grant over a 7 year declining period and there is a 3:1 matching required (if the buyer puts $1667 down, Clearfield will give $5,000). Gov. Jon Huntsman Jr. signed a bill yesterday that will provide $6,000 grants to buyers of newly constructed, never-occupied homes. Upon his signature, he immediately directed the Utah Housing Corporation to begin dispersing grants under the “Home Run” program to buyers who finance a recently constructed home with a 30-year (or less) fixed-rate mortgage and meet other qualifications. Senate Bill 260 created a fund that will use federal stimulus dollars to provide about 1,600 grants to be distributed through Utah Housing Corporation to home buyers on a first-come, first-served basis. To apply for the grant, home buyers should work through their lender. Any mortgage lender qualified to make mortgage loans under Utah law can assist home buyers to secure the Home Run grant, but Utah Housing has a list of currently approved lenders. Lenders will work directly with Utah Housing Corporation to apply for the grant money. Examples of qualifying mortgages include conventional, FHA, VA, Rural Housing and Utah Housing loans. Cash buyers should work directly with Utah Housing. Consumers do not have to be first-time buyers to qualify for the program but incomes cannot exceed $75,000 for singles and $150,000 for married couples. Buyers who qualify for both programs can take advantage of the $8,000 federal home-buyer tax credit as well as a Home Run grant. To learn more about program details and how buyers can apply, visit www.UtahHousingCorp.org . Also visit www.UtahHousingFacts.com for information about both the Home Run program and the $8,000 federal first-time home buyer tax credit. The National Association of Realtors’ Housing Affordability Index has risen 13.6 percentage points to 166.8, a new record high (December 2008: 153.2 to January 2009: 166.8). A value of 100 means that a family with the country’s median income has exactly enough income to qualify for a mortgage on a median-priced existing single family home. The higher the index, the more income buyer's are making relative to home prices (and the better housing affordability is for the buyer). The Obama Administration unveiled the final details of its "Making Home Affordable Program," which is designed to help up to 9 million American families refinance or modify their loans to a payment that is affordable now and into the future. One of the initiatives in this program is aimed at helping responsible homeowners "refinance" their loans to take advantage of historically low interest rates. Here are some common Questions and Answers about the Refinancing Initiative in the program. You own and currently occupy a one- to four-unit home. Your mortgage is owned or controlled by Fannie Mae or Freddie Mac. The amount you owe on your first mortgage is about the same or slightly less than the current value of your house. And, you have a stable income sufficient to support the new mortgage payments. How do I know if my loan is owned or controlled by Fannie Mae or Freddie Mac? Simply call or email me. I'll help you determine if your mortgage is backed by Fannie Mae or Freddie Mac. I owe more than my property is worth. Do I still qualify to refinance under the Making Home Affordable Program? Eligible loans will include those where the first mortgage will not exceed 105% of the current market value of the property. For example, if your property is worth $200,000 but you owe $210,000 or less, you may qualify. The current value of your property will be determined after you apply to refinance. If I am delinquent on my mortgage, do I still qualify for the Refinance Initiative? I have both a first and a second mortgage. Do I still qualify to refinance under Making Home Affordable? As long as the amount due on the first mortgage is less than 105% of the value of the property, borrowers with more than one mortgage may be eligible for the Refinance Initiative. That depends. If your interest rate is much higher than the current market rate, you would likely see an immediate reduction in your payment amount. However, if you are paying interest only on your mortgage, you may not see your payment go down. BUT... you will be able to avoid future mortgage payment increases and may save a great deal over the life of the loan. What are the terms of the refinance and what will the interest rate be? All loans refinanced under the plan will have a 30- or 15- year term with a fixed interest rate. No. Only transaction costs, such as the cost of an appraisal or title report may be included in the refinanced amount. How do I apply for the Refinance Initiative? Call or email me today to discuss your specific situation and to examine your options. If this plan is right for you, we can begin working on your refinance immediately. Recent 30 days pay stubs to help determine your gross (before tax) household income. 2008 and 2007 w-2's and if self employed, your most recent 2 years income tax returns. First-time homebuyers who purchase homes from the start of the year until the end of November 2009 may be eligible for the lower of an $8,000 or 10% of the value of the home tax credit. Remember a tax credit is very different than a tax deduction – a tax credit is equivalent to money in your hand, as opposed to a tax deduction which only reduces your taxable income. The tax credit starts phasing out for couples with incomes above $150,000 and single filers with incomes above $75,000. Buyers will have to repay the credit if they sell their homes within three years. It’s important to remember that the $8,000 tax credit is just that… a tax credit. The benefit of a tax credit is that it’s a dollar-for-dollar tax reduction, rather than a reduction in a tax liability that would only save you $1,000 to $1,500 when all was said and done. So, if a homebuyer were to owe $8,000 in income taxes and would qualify for the $8,000 tax credit, they would owe nothing. Better still, the tax credit is refundable, which means the homebuyer can receive a check for the credit if he or she has little income tax liability. For example, if a homebuyer is liable for $4,000 in income tax, he can offset that $4,000 with half of the tax credit… and still receive a check for the remaining $4,000! According to the plan, the tax credit starts phasing out for couples with incomes above $150,000 and single filers with incomes above $75,000. Example 1: Assume that a married couple has a modified adjusted gross income of $160,000. The applicable phaseout to qualify for the tax credit is $150,000, and the couple is $10,000 over this amount. Dividing $10,000 by $20,000 yields 0.5. When you subtract 0.5 from 1.0, the result is 0.5. To determine the amount of the partial first-time homebuyer tax credit that is available to this couple, multiply $8,000 by 0.5. The result is $4,000. Example 2: Assume that an individual homebuyer has a modified adjusted gross income of $88,000. The buyer’s income exceeds $75,000 by $13,000. Dividing $13,000 by $20,000 yields 0.65. When you subtract 0.65 from 1.0, the result is 0.35. Multiplying $8,000 by 0.35 shows that the buyer is eligible for a partial tax credit of $2,800. Remember, these are general examples. You should always consult your tax advisor for information relating to your specific circumstances. The tax credit is applicable to any home that will be used as a principle residence. Based on that guideline, qualifying homes include single-family detached homes, as well as attached homes such as townhouses and condominiums. In addition, manufactured or homes and houseboats used for principle residence also qualify. More good news – there is an extension on the additional tier of conforming loan amounts which had been first established in 2008. This tier of home loans are those greater than $417,000, and with a maximum that depends on the area, but is not greater than $729,750. These loans will again be eligible for rates that are slightly higher than conforming loan rates, but less expensive than the standard “jumbo” loan rates. Tax Incentives to Spur Energy Savings and Green Jobs — This provision is designed to help promote energy-efficient investments in homes by extending and expanding tax credits through 2010 for purchases such as new furnaces, energy-efficient windows and doors, or insulation. Landmark Energy Savings — This provision provides $5 Billion for energy efficient improvements for more than one million modest-income homes through weatherization. According to some estimates, this can help modest-income families save an average of $350 a year on heating and air conditioning bills. Repairing Public Housing and Making Key Energy Efficiency Retrofits To HUD-Assisted Housing—This provision provides a total of $6.3 Billion for increasing energy efficiency in federally supported housing programs.Specifically, it establishes a new program to upgrade HUD-sponsored low-income housing (for elderly, disabled, and Section 8) to increase energy efficiency, including new insulation, windows, and frames. Expanding Housing Assistance—This provision increases support for several critical housing programs. It includes $2 Billion for the Neighborhood Stabilization Program to help communities purchase and rehabilitate foreclosed, vacant properties. Another thing to keep an eye on in the coming weeks is President Obama’s plan to help struggling borrowers before they are faced with a default on their mortgage. According to reports, the Obama administration is discussing plans to help borrowers who are struggling to stay afloat, but who have not yet fallen behind on their payments. At this point, details are scarce; however, reports indicate that President Obama is looking to spend approximately $50 Billion to directly help homeowners before they face foreclosure and financial disaster. While this is good news for individual homeowners, it will likely be good for the housing industry as a whole. That’s because, assisting struggling borrowers before they default should help stop the wave of foreclosures, which are estimated to top two million this year. That, in turn, will help stabilize home prices. The Economic Stimulus Plan is huge, and impacts a number of industries. I’ve highlighted some of the major provisions that may impact you now and in the future. As always, if you have any questions or would like to discuss how this may specifically impact you, I’d be happy to sit down with you. Just call or email me to set up an appointment. __ Set up a "move" calendar. __ Have a garage sale. __ Collect financial, tax and employment documentation needed for your loan. __ Donate un-needed furniture to charity. __ Contact insurance company to transfer policies (life, auto, homeowners). __ Contact doctors, dentists for copies of medical records. __ Contact schools for copies of student records. __ Review tax deductions on moving expenses. __ Arrange cut-off date for telephone, gas,electricity, water, garbage, cable television. __ Call friends and relatives to let them know you are moving. __ Request change of address kit from post office. __ Check out voter registration information for the new area. __ Transfer stocks, bonds, bank accounts and contents of safe deposit boxes. __ Prepare a list of clothing that will not be packed with household goods. __ Take time to check off previous listed items while you still have time! __Label items you will need to access easily and place them in separate room or closet. __ Clean out your refrigerator and let it air out at least 24 hours before moving. __ Drain outdoor equipment: Water hoses, propane tank from BBQ grill, gas and oil from lawnmowers. __ Discard all aerosols, paint, oils, and other flammable or toxic chemicals. __ Schedule with utility companies to have utilities turned on at your new home. __ Remember, items packed last will be unloaded first. __ Have the house ready for delivery prior to the truck's arrival. __ Take a break, sit back, relax and ENJOY YOUR NEW HOME!! Take the stress out of your moving day! Call me if there is anything I can help you with!